Born in the UK and raised in Europe, South America and Africa, Michael Matthews’ flamboyant and expressive performances are placing him at the forefront of the young generation. He has been praised for a rigorous technique alongside his natural musical perception by leading figures in the field. His concerts are communicative, eccentric and have been described as truly beautiful and professional. He brings a new identity to traditional repertoire as well as verve and dynamism to contemporary and lesser-known works. Since his youth, Michael has studied with distinguished and unorthodox teacher and performer Rob Johns, completing his First Class Honours Degree in 2016 with distinction in performance. He has subsequently performed in recitals, masterclasses and competitions across the country and abroad. Recently, he has given solo recitals with an emphasis on the Renaissance and its links to contemporary music. In the spring of 2017, Michael gave his debut performance of Joaquin Rodrigo's Concerto de Aranjuez with the Sheffield Chamber Orchestra. In 2018 Michael was chosen by the Tillett Trust to give recitals across the UK during the 2018/2019 season and he is proud to be a 2019/2020 Concordia Foundation Artist. Upcoming engagements include a performance of Rodrigo's Fantasia para un Gentilhombre, a solo recital at St James’s Church Piccadilly and his debut appearance at the Wigmore Hall. A unique opportunity to hear this wonderful tenor-guitar duo in the intimate setting of Benjamin Franklin House. 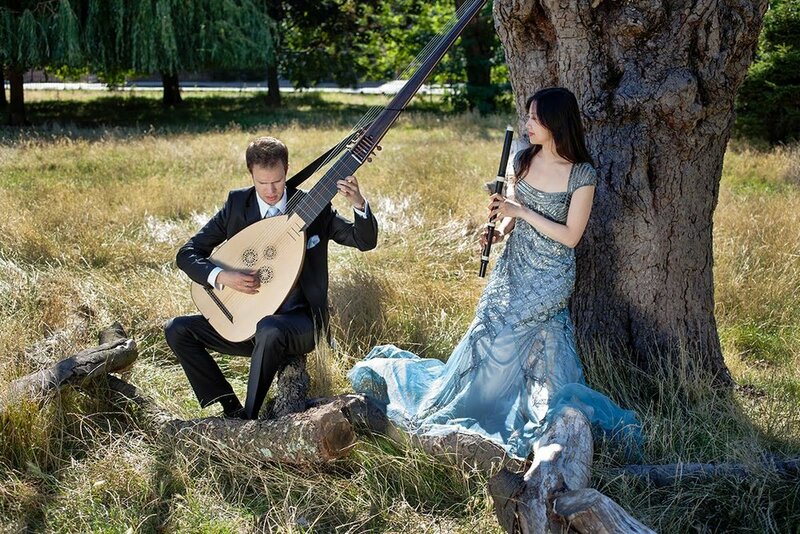 Repertoire includes arrangements of lute songs and pieces by Benjamin Britten. Concert running time: 60 mins, followed by refreshments (included in ticket price. Swiss cellist Timothée Botbol is a Park Lane Group Young Artist and Yeomen of the Worshipful Company of Musicians. He has given solo performances in the UK, Switzerland, Germany and Italy in venues including St John’s Smith Square, Royal Albert Hall, Kings Place, St James’s Piccadilly, Chapel Royal, Lausanne Steinway Hall and Kultur-Rockt Festival. He has appeared as principal cellist of ensemble Collegium under direction of soloist Lawrence Power, as well as chamber musician in the 2017 Concerts in The West series, the Royal Overseas League and St Martin-in-the-Fields. In February 2017, he was awarded the Grand Prize Special from all categories at the II Augustin Aponte International Music Competition in Tenerife. Starting his early musical education in Geneva at the Jaques Dalcroze Institute, he later progressed to the Lausanne Haute École de Musique and the Royal College of Music on the Artist Diploma program, under tutorship of professors such as Patrick Demenga, Alexander Chaushian and Richard Lester where he was supported by a Musicians’ Company Lambert Studentship, the Concordia Foundation, the AF Marescotti ville de Carouge Award and the Fondation F & M-F Minkoff. He also has participated in numerous masterclass with renowned cellists such as Gary Hoffman, Franz Helmerson, Jérôme Pernoo and Miklòs Perényi. A keen orchestral musician, Timothée has performed with the Orchestre de la Suisse Romande, the Orchestre de Chambre de Lausanne, the Orchestre de Chambre de Genève and the European Philharmonic of Switzerland in venues including Geneva’s Victoria Hall, Lausanne’s Salle Metropole and Palais Beaulieu, Montreux’s Auditorium Stravinsky and the Opéra de Vichy, under conductors including Charles Dutoit, Markus Stenz and Christian Zacharias, and with soloists including Martha Argerich and Leonidas Kavakos. 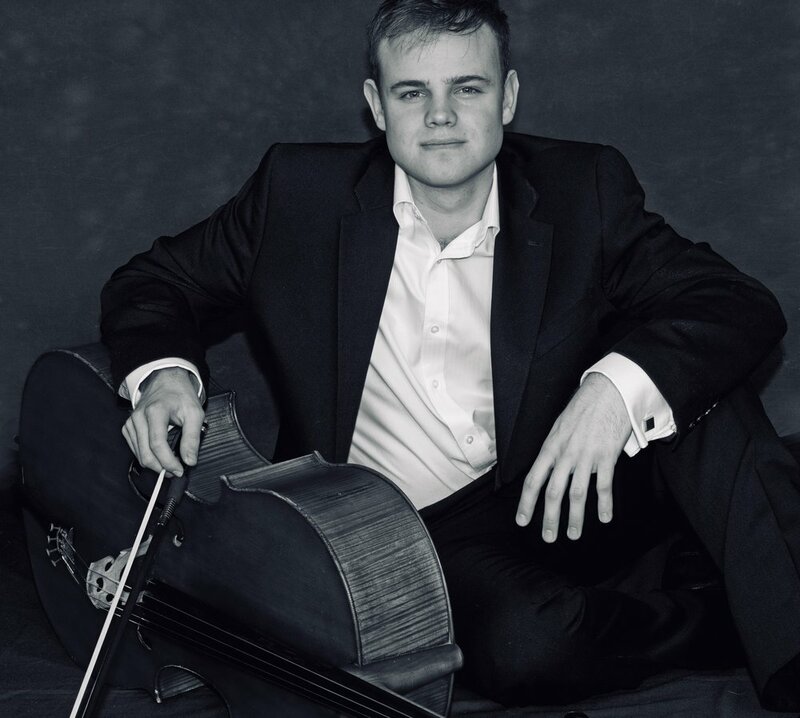 He is currently holding a trial position as sub-principal cellist with the Welsh National Opera, with upcoming performances including Birmingham Hippodrome, The Empire - Liverpool, Oxford New Theatre and Cardiff’s Wales Millennium Centre. He is proud to be a Concordia Foundation Artist. In great demand as a recitalist, concerto soloist and chamber musician, John Paul Ekins has given performances throughout the UK, and overseas in Azerbaijan, the Czech Republic, France, Germany, Italy, Kuwait, Norway, Poland, Romania, Spain and Switzerland, and he has been broadcast on the BBC, on Romanian national television and radio, and on Polish television. In 2009 he graduated from the Royal College of Music with First Class Honours, and was awarded the James Anthony Horne Scholarship by the Guildhall School of Music & Drama to study with Charles Owen, graduating with Master of Performance (Distinction) in 2011. He has received support from Making Music, The Musicians Benevolent Fund, The Concordia Foundation, The Razumovsky Trust and The Keyboard Charitable Trust. International Competition successes include as many as 19 awards and prizes, and performances have taken him to prestigious venues such as Bucharest's Athenaeum, Zurich's Tonhalle, Prague's Martinu Hall, London's Wigmore Hall, Royal Albert Hall (where he recently made his concerto debut playing Rhapsody in Blue with Southbank Sinfonia), Queen Elizabeth Hall, Purcell Room, St. Martin-in-the-Fields, Fairfield Hall and Steinway Hall, Birmingham's Symphony Hall. John Paul has been particularly honoured to be presented to Her Majesty The Queen and His Royal Highness The Prince Philip at a Reception for Young Performers at Buckingham Palace. Educational and outreach work is enormously important to John Paul too, and as well as private teaching he has also given workshops and masterclass-recitals with great success in the UK. He has taught at St. Paul’s School since 2013. Joel Williams is a tenor at the Royal College of Music International Opera Studio. He studies with Tim Evans-Jones, and is the Kiri te Kanawa Scholar supported by the Independent Opera Scholarship. Joel spent much of his youth as a boy-treble in Europe's opera houses, in roles ranging from one of Die Zauberflöte’s DreiKnaben to Cobweb in Britten’s A Midsummer Night’s Dream. Joel went on to study History at King's College, Cambridge where he was a Choral Scholar. As a concert soloist he has performed a broad range of repertoire including Verdi's Otello(Roderigo), Haydn's Creation, Bach’s St Matthew Passion, and Britten’s Serenade for Tenor Horn and Strings. On stage, he has played Tamino The Magic Flute, the Mayor Albert Herring, and Count Belfiore La Finta Giardiniera. 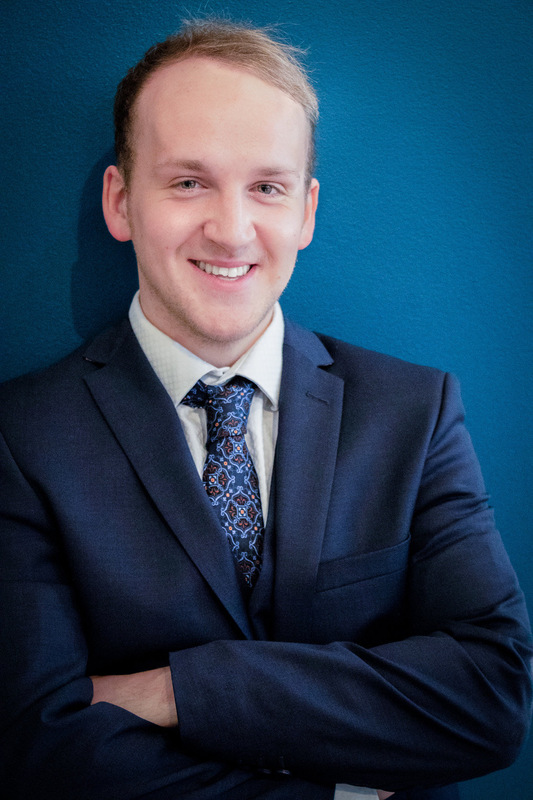 Joel was a Young Artist for Opera Holland Park Young singing Don Ottavio Don Giovanni, an Alvarez Young Artist at Garsington Opera and a member of the Verbier Festival Academy. Joel is also so grateful to those who have supported him up to this point. Many thanks to the Mason Family, the H F Music Award Foundation, the Ladies of the Soirée d'Or, the Humphrey Richardson Taylor Charitable Trust, the Josephine Baker Trust, the Countess of Munster Musical Trust, the Kathleen Trust, the Seary Charitable Trust, the Il CircoloItalian Cultural Association, the Ryan Davies Memorial Fund, the Mario Lanza Foundation, the Philip Bates Trust, and the Michael James Trust. Joel is proud to be a Concordia Foundation Artist. Pianist Marie Otaka is currently a student on the Artist Diploma of Performance in Collaborative Piano at the Royal College of Music (RCM), studying piano with Roger Vignoles and harpsichord with Terence Charlston as a Stanbridge Drake-Brockman Scholar. She is also generously supported by the Clemence Charitable Trust. She firstly read Linguistics (Phonetics) for Master’s Degree at the Sophia University Tokyo, and went on to the Toho Gakuen College of Drama and Music to study music. Her strong interests in English art songs and working with singers and instrumentalists led her to the study for Piano Accompaniment at the RCM. She completed the Master’s Degree of Performance in Piano Accompaniment with Distinction in 2017 and was awarded the first accompanists’ prize at the Brooks-van der Pump English Song Competition, the best accompanist prize at the Lieder Competition and the Titanic Memorial Prize (for the best accompanist performance) at the Lies Askonas Competition. Her performance highlights have included Schumann ‘Liederkreis op39’ masterclass with Sarah Walker at the Oxford Lieder Festival, Wolf ‘Mörike Lieder’ workshop with Roger Vignoles at the RCM, the performance at the Royal Albert Hall ‘Afternoon Tea with Opera’ series, the performance in part of the exhibition ‘Opera: Passion, Power and Politics’ at the Victoria and Albert Museum, and a duo performance with flute at the Chofu International Music Festival in Japan. For the instrumental repertoire, she works regularly with the flautist, Sofia Castillo. She also enjoys playing the harpsichord as a continuo player and performs annually with a baroque vocal ensemble ‘Chaconne Ensemble’. She has appeared in the concert at the Handel House London, the Utrecht Early Music Festival Fringe Concert in the Netherlands, and the final concerts as part of the International Handel Academy Karlsruhe in Germany. Edward ELGAR – “NIMROD”, Enigma Variations for Orchestra op. 36. Giancarlo Palena is a prize-winning Italian Accordion Player which started to study in Italy with M° Mario Stefano Pietrodarchi and is currently in London working with Prof. Owen Murray in the Royal Academy of Music. He has performed in Royal Festival Hall in Lodon; Teatro “San Carlo” of Naples; Academic Hall of the “Fryderyk Chopin” University of Music in Warsaw; Academic Hall of the Rome’s Conservatory “Santa Cecilia”; Royal Castle of Warsaw; Royal Academy of Music in London. In November 2018 he was a guest of the London Philharmonic Orchestra as part of the Foyle Future Firsts Ensemble’s 2018 debut held in Southbank Centre, with music written in Theresienstadt concentration camp, by Viktor Ulmann. Giancarlo has won numerous national and international competitions and in June 2016 he received the Medal from the President of the Italian Chamber of Deputies in recognition of the musical talent and his achievements at international level. In September 2014 in Castelfidardo (Ancona) he was selected by the Italian Accordion Culture as the only representative from his homeland in the classical category ("Master Coupe Mondiale") at the 67th CIA World Cup, held in Salzburg (Austria), from 27th October to 2nd November 2014. In May 2015 he was selected as the best Italian candidate to represent Italy at the 68th CIA World Cup, held in Turku (Finland), from 6th to 11th October 2015, obtaining the third prize. In 2017 he graduated at the University of Music “Frédéric Chopin” in Warsaw, Poland, under the direction of M° Klaudiusz Baran. He has held numerous concerts in Italy and abroad, performing in Austria, Belgium, England, Finland, Germany, Ireland, Poland, Portugal, Romania, Serbia, Switzerland and Turkey. 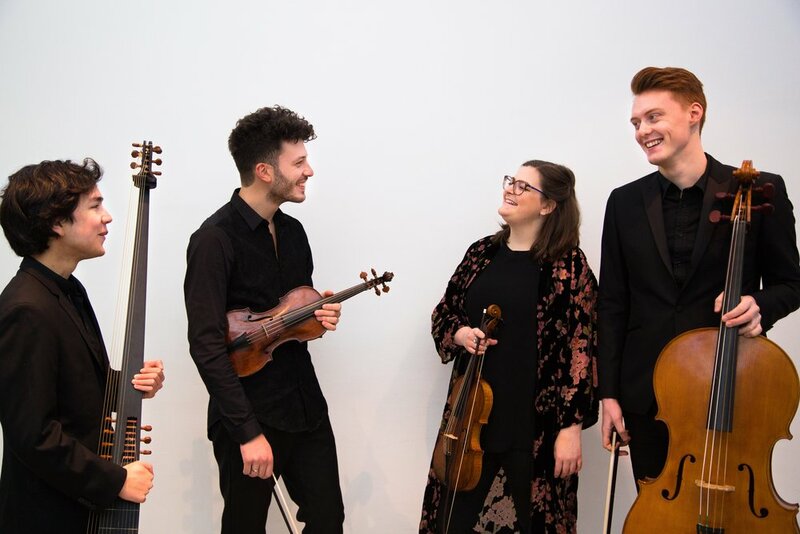 Recent highlights include an acclaimed debut at London’s Wigmore Hall, performances at Cadogan Hall, St James’s Piccadilly, the Queen’s Gallery at Buckingham Palace, and at the Cheltenham, Brighton Early Music, Lake District Summer Music, Buxton and King’s Lynn Festivals, as well as the Edinburgh Festival Fringe. The Consone Quartet is rapidly gaining international recognition performing in France, Germany, Austria, Bulgaria, Slovenia, the Czech Republic, Belgium (AMUZ in Antwerp), Italy, Switzerland and in spring 2018 they completed their debut tour to South America performing across Bolivia and Peru. 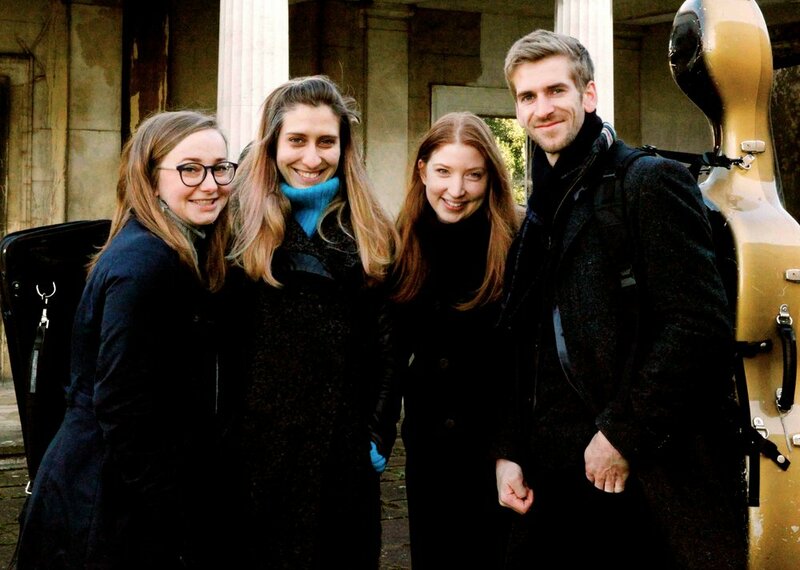 The Consone Quartet’s debut CD, featuring music by Haydn and Mendelssohn, was released on the Ambronay Label during the Festival in October 2018. The quartet is celebrating its release with an album launch at the Royal Over-Seas League House in London in December. Consone regularly collaborates with other musicians, such as the Fitzwilliam String Quartet, members of the Hanover Band, Mahan Esfahani, Gillian Keith, Jane Booth, Ashley Solomon, and Colin Lawson. Consone participated in the “Brighton Early Music Festival Live!” mentoring scheme and in a number of Chamber Studio masterclasses at King's Place, London. In 2018 the quartet was selected to become a Concordia Foundation Artist. 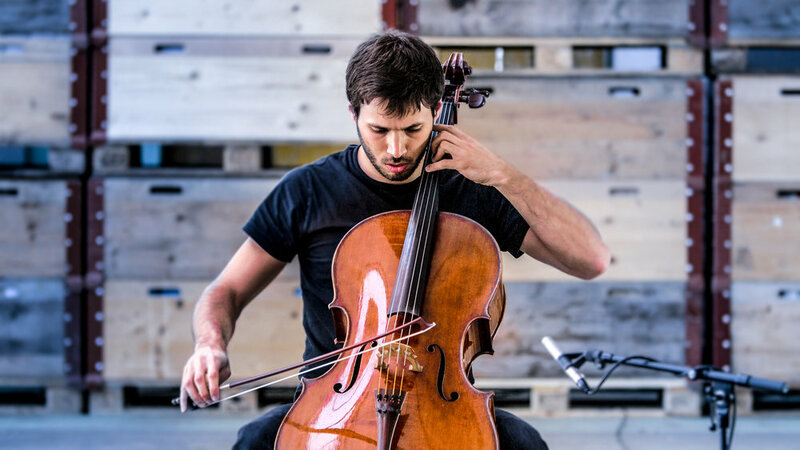 Swiss cellist Timothée Botbol is a Park Lane Group Young Artist, a Yeomen of the Worshipful Company of Musicians and a Concordia Artist. He has given solo performances in the UK, Switzerland, Germany and Italy in venues including St John’s Smith Square, Royal Albert Hall, Kings Place, St James’s Piccadilly, Chapel Royal, Lausanne Steinway Hall and Kultur-Rockt Festival. He has appeared as principal cellist of ensemble Collegium under direction of soloist Lawrence Power, as well as chamber musician in the 2017 Concerts in The West series, the Royal Overseas League and St Martin-in-the-Fields. In February 2017, he was awarded the Grand Prize Special from all categories at the II Augustin Aponte International Music Competition in Tenerife. In addition to cello, Timothée has performed regularly as a baritone soloist, singing at Geneva’s Victoria Hall accompanied by the Geneva Chamber Orchestra. Future solo performances include Faversham Music Club, St Margaret’s Church - Westminster, St James’s Piccadilly and a tour in Switzerland with pianist Dinara Klinton. Iñigo Mikeleiz-Berrade was born in 1994 in Barañáin (Navarra) where he started playing accordion at the age of 7. He is now a Master of Arts and Advanced Diploma graduate from the Royal Academy of Music (London). His aim as a musician is to contribute to show the generally unknown possibilities that accordion can display. Inigo is proud to be a Concordia Artist. ...As Tamino, a prince from a far away kingdom, goes in search of his princess on a magical, mysterious, sometimes dangerous (sometimes bizarre!) journey... A host of characters, including the comedic bird-catcher Papageno, the wicked Queen of the Night, the princess Pamina - even some animals! - will take you on a musical, magical adventure, in this retelling of one of the most imaginative operas ever written. Designed especially for children, this is the perfect introduction to opera . Presented in a light-hearted and fresh way by three opera singers and an accordionist, this production, originally devised for Opera North at the CBBC summer social, is inspired by the story of The Magic Flute, in which a prince goes on an adventure in search of his princess, Pamina (with the help of a magic flute and some magic bells!) and encountering many magical creatures along the way... The audience is invited to be part of the story, resulting in a magical, comic, punchy reimagining of Mozart’s opera. The children will take part in this interactive show while also enjoying a high quality performance by professional actors and musicians in the atmospheric surroundings of St. Paul’s Church, Covent Garden. Please contact Natasha Day: info@concordiafoundation.com to be added to the Guest List. Anna Kondrashina is a prizewinner at prestigious competitions in China and Japan. She is currently a Master's student at the Royal Academy of Music in London, in the class of William Bennett. Marina Kan Selvik is a pianist residing in Oslo, Norway. She is currently taking Master degree at Royal Academy of Music in London. Prizewinner of several international piano competitions, she has given solo recitals and performed as soloist with symphony orchestras in Europe. Nicola and Jonathan are an oboe and piano duo, who met at Cambridge University, and who offer recitals and full-length concerts with a mix of duo repertoire for oboe or cor anglais and piano and solo works for oboe, cor anglais and piano. Julia Hwang gave her professional solo debut with the English National Baroque Chamber Orchestra at the age of nine, performing Bach's Concerto in A minor. She recorded two CDs by the age of twelve and performed with the Royal Philharmonic Orchestra in the same year. In 2015, she became a cultural ambassador for BRACE Alzheimer’s Research, alongside broadcasters Jonathan Dimbleby and Martyn Lewis, and is also a Concordia Foundation Artist. Julia has appeared many times on live television and radio through the BBC and ITV and, in 2012, she was featured in a BBC4 documentary about ‘The Lark Ascending’ which was re-broadcast due to popular demand. Her latest CD with Charles, recorded with Signum Classics, was reviewed by Gramophone as displaying a “model of expressive purity” (Rob Cowan). Julia graduated from St John’s College, Cambridge with the 2017 Larmor Award. She currently studies with Itzhak Rashkovsky as an Ian Evans Lombe Scholar at the Royal College of Music. She was the winner of the Senior Award of the Hattori Foundation, and is supported by the Drake Calleja Trust, Talent Unlimited, and the Countess of Munster Trust. Charles Matthews studied at the Royal College of Music, London, and was an organ scholar at Trinity College, Cambridge. Charles has won numerous awards, perhaps most notably first prize in the 1999 Franz Liszt Organ Interpretation Competition in Budapest. His most recent solo recording is of Francis Routh's cycle The Well-Tempered Pianist. He has performed for productions by the Royal Opera and Royal Ballet, and recorded music used in various theatres in Spain. A collection of his compositions for flute and piano was published in 2006 by Schott. Charles teaches piano and organ at the Royal Birmingham Conservatoire, and is conductor in residence for the annual Curso Internacional Matisse at San Lorenzo de El Escorial, Spain.